12a is the summer par 5 and a signature hole of the course. 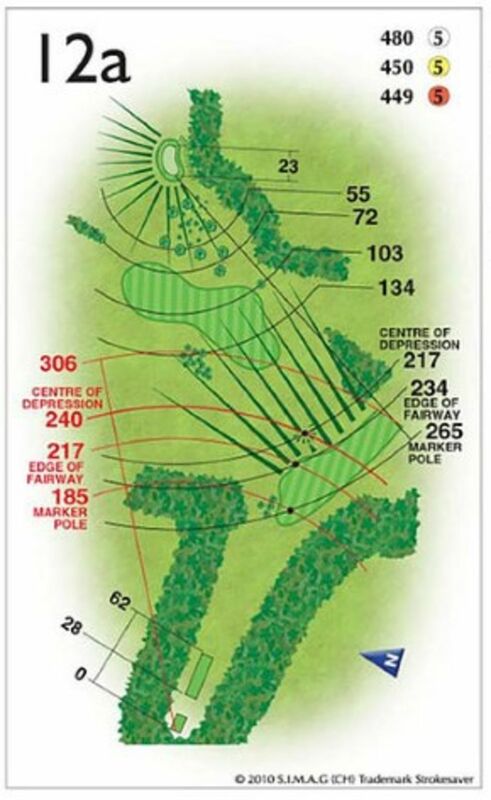 A long drive over the left side of the pine trees on top of the hill gives you a shot from the fairway to the green, though likely on a slope or from in the rough. Play an iron to the top of the hill, a short iron to the bottom and then a wedge to the green to give yourself a chance of birdie.